As promised, we’re recognizing the top market pairs ever. Russ Hodges was beloved in his years as the original #1 Voice of the Giants in San Francisco. Lon Simmons was his #2 and also called 49ers games. Yet King was a Bay Area play-by-play institution. Hodges and his ‘Bye-bye baby’ home run call transitioned from the old Polo Grounds in New York to California in 1958. Russ was the soundtrack to Willie Mays’ dominance for his two most prevalent decades. Shanley did the Browns for 24 seasons including the Jim Brown years. He voiced their savored NFL championship in 1964. Home games were blacked out in those competitive Browns years so fans listened assiduously. 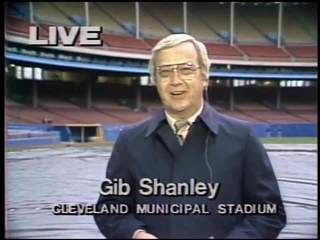 Gib was also a local TV sports anchor. In 1979, he became a folk hero of sorts when he burned the Iranian flag on-air as Americans were held hostage by the Khomeini regime. Over the course of his long career, Tait arguably grew into the best pure radio basketball announcer ever. Joe joined the Cavs when they were an expansion franchise in 1970 and other than a couple years away, he was the team’s voice until he retired after the 2011 season. No one connected the dots as immaculately. A winner of Basketball Hall of Fame’s Gowdy Media Award, Tait also called Indians baseball on both radio and television in the 70s and 80s. Kevin Calabro was a phrasemaker whose distinct voice and style were unmistakable. His signature lines were familiar throughout Seattle, ‘Good golly, Miss Molly,’ ‘Flying chickens in the barnyard’ and ‘Let’s get on a magic carpet ride.’ Calabro did a TV/radio simulcast most years. It strengthened his bond with Sonics’ fans. Kevin joined the team in 1987 and stayed until they left for Oklahoma City after the 2008 season. Caray was one of the most peppy, pumped and animated baseball announcers ever. 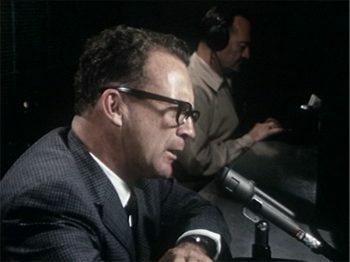 After great success in St. Louis and a year in Oakland, Caray was hired by the Sox in 1971 and was the voice of the fans. Symbolizing a day at the ballpark, Caray would often call games shirtless from the bleachers. After 11 seasons, he moved crosstown to the Cubs (1982) where his popularity skyrocketed. The 1997 season was his last and he passed away a year later. Jim Durham spent 18 years as the Bulls’ voice (1973-91). Adored by fans, Durham verbally documented the early years of the great Michael Jordan. He voiced some of Jordan’s early heroics, including ‘the shot on (Craig) Ehlo’ in the 1989 Eastern Conference, first round playoffs. What bolstered Durham’s interchangeability with the Bulls is the fact that for many years he simulcast the games on radio and TV. Gowdy, a Ford Frick awardee and disciple of Mel Allen, called Sox games on radio and television from 1951 through 1965. Curt is best known for his dominant network role with NBC Sports after leaving Boston. 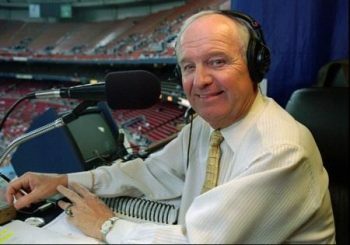 Although he was saddled with poor Red Sox clubs year after year, Curt’s voice was warm, friendly and unrushed. The Gowdy name will always remind Bostonians of Ted Williams whose career he chronicled. 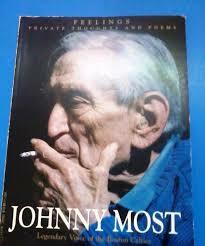 Johnny Most was to the Celtics what Chick Hearn was to the Lakers, synonymous! Hearn was admired but could be critical of the team. 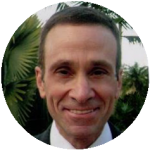 The raspy sounding Most, a disciple of Marty Glickman, was an unabashed homer. 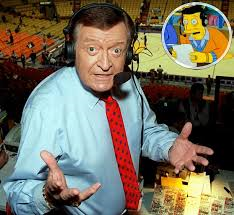 He rarely if ever disparaged the Celts in his play-by-play years,1953 through 1990. 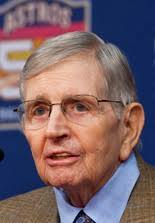 Most was awarded the Gowdy Media Award by the Naismith Hall of Fame, emblematic of broadcast excellence. Other than the Tigers then, Michigan football reigned king for so long in Detroit. Bob Ufer brought such passion to the broadcasts that the that the emotion of his voice made the Big House rock. He called Wolverines games beginning in 1945 and overlapped with Ernie for a score of fruitful years, six of which Michigan advanced to the Rose Bowl. Meeechigan was Ufer’s cry! He was inducted into the University of Michigan Athletic Hall of Fame the same year as former president and ex Wolverine footballer, Gerry Ford. 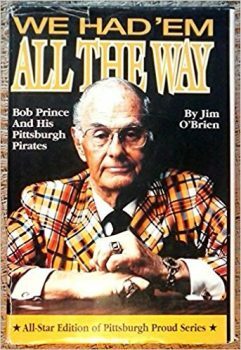 Known as ‘Gunner,’ the gravely sounding Prince rooted unabashedly for the Bucs. “All we need is a bloop and a blast,” he would implore when the Pirates were down a run. When Prince was fired by Westinghouse Broadcasting after 28 years as the Pirates voice, fans marched on Westinghouse’s downtown headquarters to protest. Prince, also worked with Joe Tucker on Steelers broadcasts. Tucker was the Voice of the Steelers for 32 years, four seasons in the 1930s and for 28 straight beginning in 1940.Tucker was as identified with the beloved Steelers as any broadcaster could possibly be with an NFL team. For many of his Steelers’ seasons, Tucker did the blacked-out home games on radio and the road games on television. In those years, CBS, the television network of the NFL, assigned announcers by team and Tucker drew the Steelers’ TV assignment. 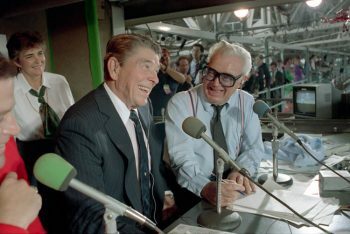 Once Harry Caray left the Cards’ baseball booth in 1969, Jack Buck was indisputably the team’s number one play-by-play announcer. It remained that way until his death in 2002. His voice was as much St. Louis as the Arch is the Gateway to the West. He sounded like your friend next door. On steamy summer days he would tell his audience that he had his feet in a bucket of ice. A Cards win was stamped indelibly. “That’s a winner,” Buck would say and listeners loved it. Dan Kelly dominated hockey broadcasts in St. Louis and beyond. When the NHL doubled its size in 1967 from the original six, St. Louis was awarded the Blues. Kelly got the gig. The team excelled, hockey was embraced and Kelly was heaped with praise. His booming voice and crisp call, also earned Kelly lots of national work, most prominently with CBS Television. No matter the din of any NHL arena, Dan’s voice was never drowned out. In all, the native Canadian did some 16 Stanley Cup Finals locally and across various networks. He died young at age 52. Hamilton, a Ford Frick Winner, spent much of his career with the Cubs, Braves and Pirates. He arrived in Houston in 1985 and retired in 2012. His most famous call was in 1974, when, with the Braves, Hamilton proclaimedHenry Aaron’s record setting 715th home run. Sure-voiced, he was always prepared with a briefcase of notes. 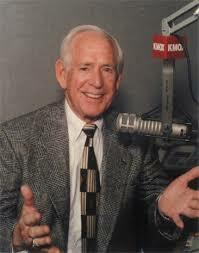 In fact, Milo’s nickname was ‘Briefcase.’ He worked both radio and TV for the teams he served over five decades. Gene Peterson was the flat-out Voice of the Rockets. He presided over the radio mic for 33 season, beginning in 1975, including the two when the Rockets won back-to-back titles, 1994 and 95. He had pipes most broadcasters wish for; strong and sonorous. Peterson was quick, had an inviting delivery and painted a captivating picture. When he emceed the Rockets ring ceremony in 1995, he was introduced by the public-address announcer to a standing and thunderous ovation. This is a no brainer, Miller and Jeanneret represented fantastic dominance. The Bills and Sabres are the only two major league sports in Buffalo. Miller is the only local NFL announcer to receive the Pete Rozelle Media Award from the Pro Football Hall of Fame. 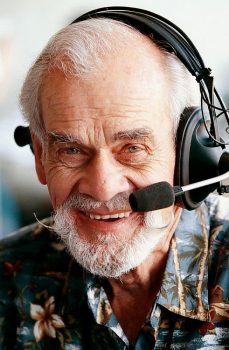 Miller, a wordsmith, was an enthusiastic broadcaster who called Bills games on radio for all but seven years from the time the franchise was born in 1960 until his retirement in 2003. His call of the infamous failed field-goal attempt by Scott Norwood in the Super Bowl is classically descriptive. He also called the NBA’s Buffalo Braves’ games on radio in the 1970s. Jeanneret is the longest tenured local NHL radio announcer today. He’s been with the Sabres since year two of the franchise in 1971. Although his retirement has been anticipated for years, he’s planning to return again this coming season. He’s battled health issues in recent years. Jeanneret and his stirring calls were first heard on radio, then television and most recently on team simulcasts. 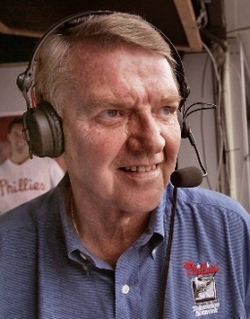 Allen is likely the most popular baseball announcer to ever hit New York’s airwaves. Fans related to Mel. He wore wins and losses on his sleeve. The Alabama native had a voice that made listeners melt and had superb field material to cover. 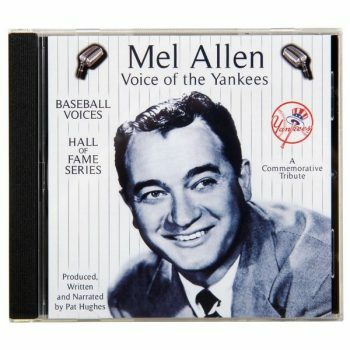 Allen presided over the Yankees’ mic through the team’s most dominant championship years. The Bombers won 10 World Series while he called their games. ‘It’s going, going, gone’ and ‘How about that,’ live forever. Glickman wrote the book on how to call basketball. He gave the game a geography on radio. Marty helped popularize the sport in the East when the NBA launched in 1946. His years behind the Giants’ mic were magical. Home games at the old Yankee Stadium were blacked out. Marty’s graphicallly intense pictures put listeners on the fifty-yard line week after week. He was a true New York icon. The beloved Reese took over as the Eagles play-by-play voice in mid-season 1977 under tragic conditions. Play-by-play voice Charlie Swift committed suicide during the week between games. 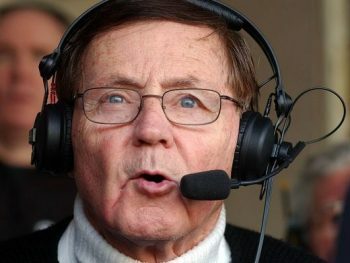 Merrill took over the following Sunday and is now the longest tenured NFL radio announcer. He begins his 41st season this August, coming off the highest of highs, an Eagles Super Bowl championship. It doesn’t get any better. 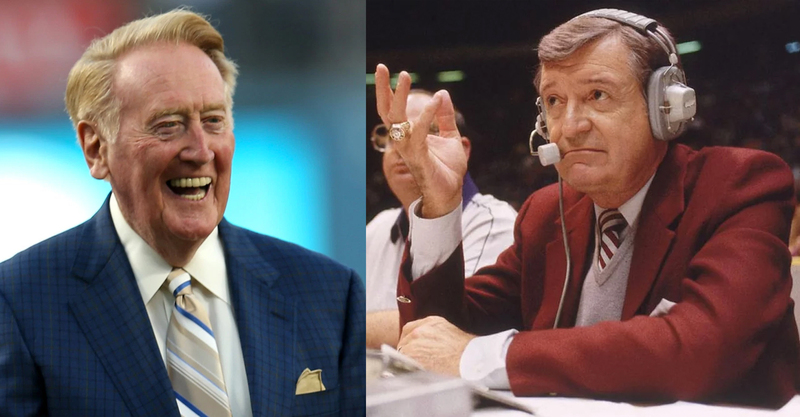 Unquestionably the greatest all-around sports pair ever, Scully spent 67 unparalleled years with the Dodgers and is unequivocally the best baseball announcer of all time. He’s been bestowed every honor a sports announcer can covet and then some. Scully was also awarded a presidential Medal of Freedom by Barack Obama in 2016. 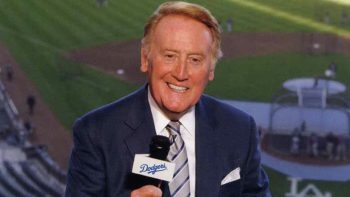 He followed the Dodgers to LA from Brooklyn in 1958 and retired after the 2016 season. Scully’s call of the last 3 outs of Sandy Koufax’ perfect game in 1965 might be the finest piece of play-by-play ever.